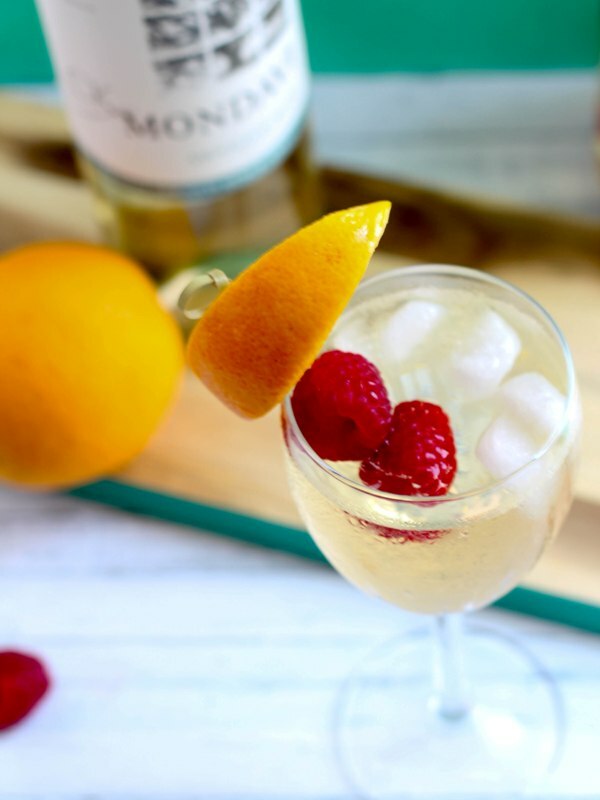 CK Mondavi provided product for this post. All opinions are my own. My favorite drink at The Disneyland Resort is the White Sangria. Hands down, no contest. This is my go-to drink when I’ve been wandering around the Parks in the heat and I want something cool and refreshing. (I hear Walt Disney World offers it on their standard bar menu as well.) The Disneyland White Sangria is, as you would expect, sweet and fruity, with mostly peach undertones. It’s pretty easy to recreate at home, although this recipe is one I came up with myself and not the official Disney recipe. It tastes close enough for me, although I purposefully made mine less sweet, because it’s my personal opinion that everything on earth contains too much sugar. 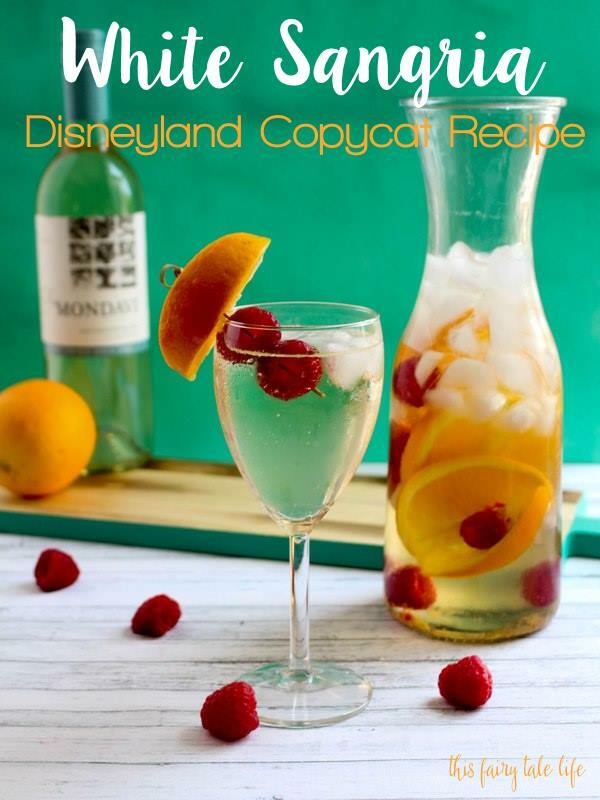 If you want some added sweetness to your homemade Disneyland White Sangria, just add simple syrup to the recipe. Otherwise, enjoy this little taste of Disneyland at home! Slice orange and place in the bottom of the pitcher. Set aside wedges for garnishes, if you wish. Add a handful of raspberries to the pitcher. Add a cup of ice if desired. Add the white wine, peach schnapps, and juice from one lemon to the pitcher and stir well. 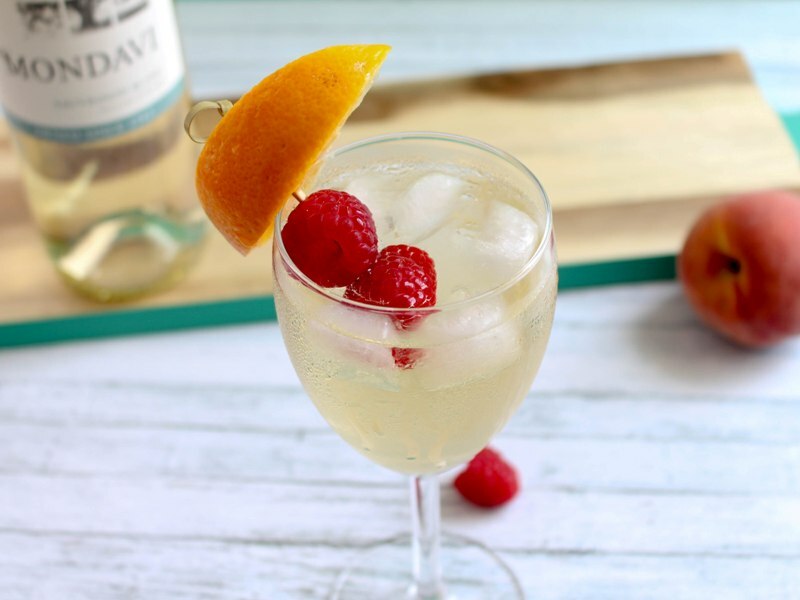 Pour into wine glasses over ice (if desired) and garnish with orange slices and raspberries. Since it’s summer and we are approaching Fourth of July, I want to give a shout out to CK Mondavi and their support of the Intrepid Fallen Heroes Fund. For the last four years, CK Mondavi has raised more than $130,000 for IFHF, which provides support and resources to families of military personnel lost in service to our nation, and for severely wounded military personnel and veterans. When you purchase CK Mondavi, a portion of the funds goes to this important cause. This is one of the many reasons I am proud to partner with CK Mondavi. What is your favorite Disneyland drink?